Illustrations, paintings and digital art by Christian Wilkinson. 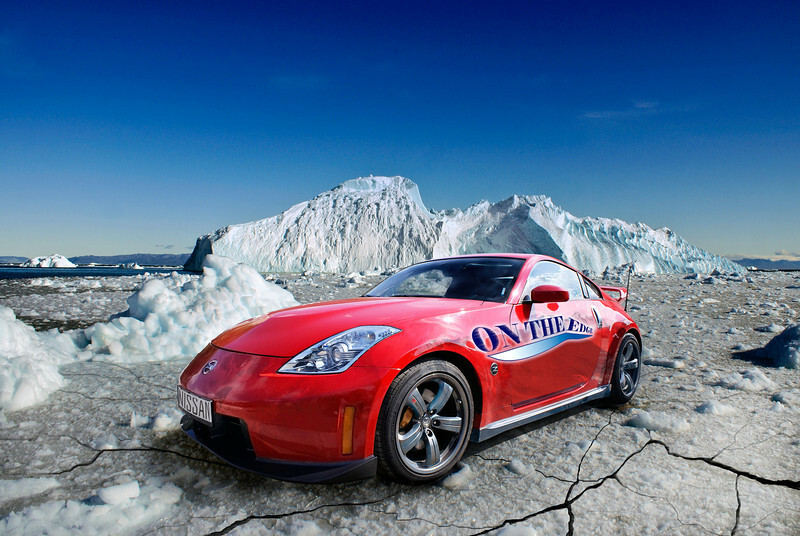 Side view of a Nissan 350z on sheet ice with breaks on the ice and 'on the edge' sticker on side of car in an icy environment on a clear day with blue sky. All images copyright Christian Wilkinson 2014. All rights reserved.